We are committed to making your dental treatment a positive experience, with an aim toward highlighting your smile and maintaining your dental health. We try very hard to make our patients feel at ease and special by providing them with the individual, dedicated attention they've come to expect from a modern dental practice. 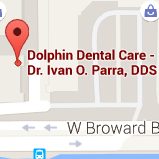 Please feel free to contact our Plantation dental office or Hallandale dental office to schedule an appointment with Dr. Parra. Your lifetime of ideal oral health starts today! 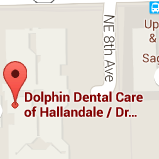 We are committed to provide our patients with personalized and comprehensive dental care in a friendly and warm office environment. Our goal is to improve our patients’ health and overall quality of life with our team of highly educated professionals utilizing the most advanced technology in dentistry.